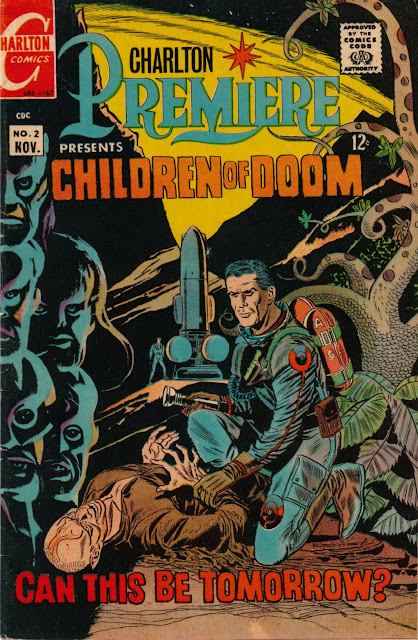 Was Charlton Premiere's CHILDREN OF DOOM the Finest Single SF Comic Before 1976? This eerie post-apocalyptic tale was written by Denny O'Neil and drawn by Pat Boyette. I'd be interested in nominations for superior performances (in your opinion), but I'd like to limit the discussion to full-length comics. Otherwise we'll probably have a bunch of folks nominated the EC comics' adaptation of "There Shall Come Soft Rains," etc., and I might sign on to that myself. I'd ask that discussion of comic stories shorter than the whole magazine be discussed in a separate thread, please. I've also limited the discussion to pre-1976. Up to that point most comics were still being produced by companies that marketed their work to a large audience, many of the members of which would be youngsters and teens. Also, by that time I'd stopped buying new comics. I leave it to you as to whether you want to consider superhero comics or not. If you think that an issue of Fantastic Four is a science fiction effort, you should, as far as I'm concerned, feel free to point it out. I don't suppose anyone will nominate one of the comics spun off from a television series, but, again, if you think an issue of, say, Gold Key's Star Trek comic was great, nominate it (speaking just for myself). Finally, if you want to nominate a comic that was actually an adaptation of a movie or the like, such as Gold Key's 1968 King Kong comic, here again, that's okay with me, although others might object. 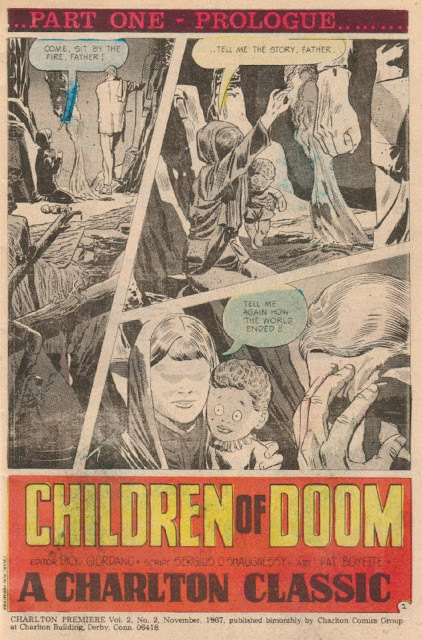 So perhaps we can have a discussion of "Children of Doom" and of some other favorite old comics. 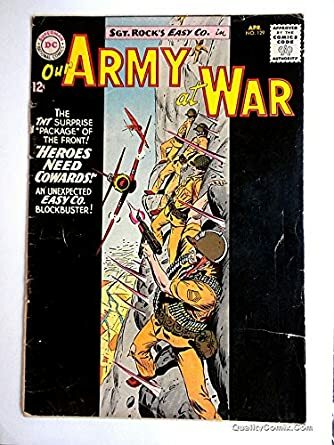 Even though it was the second of two parts as I remember it, I'm rather partial to FF 40, "Battle of the Baxter Building" or Our Army At War 129 with the superlative Kanigher effort, "Heroes Need Cowards." Do you know if that story was reprinted somewhere? An original copy looks a bit spendy. They're both final installments to separate storylines but still good enough in themselves to be nominated. Thanks... I may be able to get hold of that Sgt. Rock through my library. There's a documentary about Ditko available at YouTube in which someone raves at length about the protracted sequence in that Spider-man comic in which our hero lifts that massive metal object and frees himself. The Ditko art looms large in the early success of Spidey. I will look at some stuff, EC and whatnot... Classics Illustrated! and see what pops up. The Haunted Tank. Turok. Did EC do any book-length sf stories? I thought their sf stories were all no more than 8 pages or so. Of course I haven't seen them all. Ditko's Dr. Strange has a great strangeness I've never tired of. Didn't he work for Charlton for a while? Yes, but I don't know much more than that about Ditko there. He was largely responsible for the early Marvel look... Amazing Fantasy and other generic titles. His Dr. Strange was strange and great. He could draw The Crimson Bands of Cytorak better'n anyone I reckon. ) EC did a lot of SF, will try to remember to look, because they are all stored on the home PC. Always liked the Jim Starlin Warlock stuff, namely that re-launch of the Warlock title (as opposed to the previous cameos in Fantastic Four, Strange Tales and Marvel Premiere) that was published in 1975, resuming at #9 (series went on hiatus in 2 years earlier 1973 at #8). Great cover, and I always liked (and still do) the mix of space sci fi with super heroes. This particular book could be found with both the darker blue and lighter blue backgrounds on the cover. Starlin's artwork was awesome (although personally I always wanted Barry Windsor-Smith to try his hand at Warlock, he didn't in time for your 1976 cut-off here). Funny you should mention Fantastic Four; I would have said #48 (first Silver Surfer, beginning of first Galactus series, etc. ), but it's the first of a 3-parter. Grimward, I agree that Fantastic Four #48 is a great comic! MOST of these comics were not around by 1964ish, I think because people were already collecting EC and SF comics in general. Not one of these super-cool space covers would have got past me, no way. So the 12-cent stuff was there - Mystery In Space and so froth, but not the earlier stuff. Already they were being garnered because of EC collectibility. Strangely, the eraly Marvel stuff WAS there in numbers, nobody had realized it was going to catch on. I had two copies of Amazing Fantasy 15, thougt that Spidey was cool, but really I wanted SF. Mom threw them all out of course... she's gone now lucky for her. Actually she bought a few back before they got ridiculously expensive. But nothing so cool as this assortment, which, if I had them... and a few hundred others from these series, I'd never need TV or the internet again. 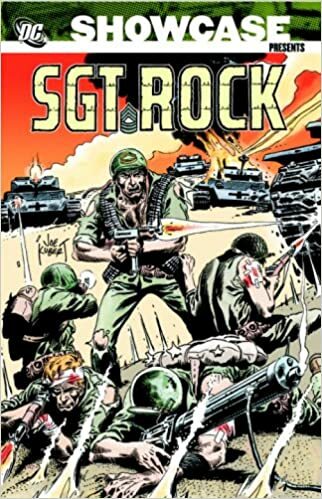 I did get hold of a book that reprinted "Heroes Need Cowards" and enjoyed it -- particularly Joe Kubert's art, although looking through a book with hundreds of pages of Kubert art, I did feel like his work was repetitive. Thanks for bringing it to my attention. Still wondering about the greatest magazine-length sf story. It looks like there haven't been very many of those up through the mid-1970s, especially if one defines the term fairly strictly and rules out costumed superhero stories. The Charlton comic stands out as a real oddity. So, does graphic novel from outside US qualifies? If published before 1976, as a comic magazine, sure! Uh, as anyone actually read all of these early stories? That's what I wonder... are they all reprinted? Have we read them all cover-to-cover and cornsidered each story? If it has to be in magazine format, but not a short story, than i’m left with serialized stories. As far as i know, comic magazines had a number of stories, longer ones were serialized in a number of issues, and if any good later collected in a standalone book. But i’m not aware of many sf stories that went from cover to cover in a magazine, except superheroes stuff. 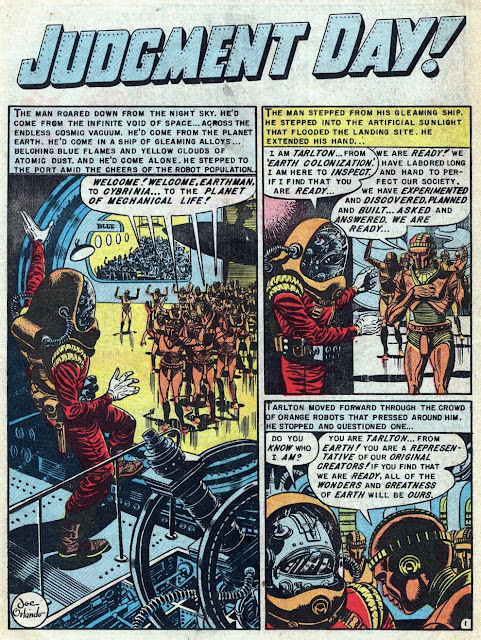 I know Russ Cochran Did EC Comics, but i’m not that familiar with US science fiction comics from those years, i tried to read some collections, but there is so much material it becomes daunting, especially if there is no nostalgia attached to it.